Owning your property free and clear involves more than having a deed in hand. A deed does not cancel certain prior “rights” and “claims” other people may have to your property–rights whose existence you never suspected – claims that may go back in time months or decades to the earliest owners of your newly acquired property. Protecting Your Rights “What protection”, you may ask, “do I have against such claims? How can I be sure my property is really mine?” The answer to both of those questions is real estate ownership insurance, commonly known as title insurance. Title Insurance Title insurace is an insured statement of the condition of your “title” or ownership rights to a certain piece of property. A title insurance policy describes your property in detail and states what limitations, if any, there are to your ownership. (For example, you may take ownership subject to existing liens or encumbrances. Or you may not own mineral rights. Or easements may have been granted to utility companies or adjacent property owners). Most importantly, a title insurance policy guarantees that the property you are purchasing is free of undisclosed liens, confusion in the rights of ownership and other clouds on the title. Peace of Mind A title insurance policy provides you with peace of mind. It takes the risk out of acquiring property whose legal history is unknown to you. While there should be no risks in transferring property, they do exist. Through the years, your new property may have changed hands many times through sale, inheritance, foreclosure, or bankruptcy. Each transfer was an opportunity for an error in title to arise. If an error occurred, and has never come to light, it puts your title in jeopardy. You could lose your property and the money you paid for it. And, even if you successfully defend your rights of ownership, the cost in time and legal fees could be prohibitive. Escrow describes the services of a person to quickly and safely close your real estate transaction. Title to a seller’s property is held safely until all terms are complete. A buyer may deposit funds with the escrow agent and be protected because they will be held in trust until the transfer of the property. Since a real estate transaction takes time to prepare the title commitment, the closing documents and complete financing requirements, an escrow provides one place where the funds and documents may be deposited with disbursement only when all of the contract conditions are met. The escrow agent is an independent third party who will perform these services impartially, protecting both buyer and seller, and acting on the written instructions from lenders, attorneys, brokers, agents and other involved parties. The escrow agent will record the required documents, payoff the existing liens or mortgages, prorate real property taxes, rentals, maintenance and other fees and any other property expenses so that the closing is correctly completed. Before a policy is issued, the title company or one of its agents conducts a search of public records, maps and documents. These records may extend back to state land grants and forward to the current owner. Only after collecting, examining and interpreting appropriate records is a policy issued insuring the condition of title. Besides describing your property and spelling out any recorded limitations on your ownership, a title insurance policy sets forth in clear terms what the insurance company will do in the event that a flaw in title is discovered or your rights of ownership are challenged. • To defend your title in the courts, as insured, at its own expense. • To correct or clear the title when possible. • To promptly pay you for your loss in the event of an unsuccessful defense of your title. This is in effect two policies in one. One provides coverage for legal expenses to defend title. The other provides for reimbursement in the event of a loss. A low, one-time premium is all you pay to obtain the protection and peace of mind of a title insurance policy. So long as ownership remains in your name or that of your heirs, there is no additional cost. The policy is issued in an amount equal to the purchase price you pay. Of course, the greater the coverage given, the higher the premium. The owners of LeConte Title LLC are attorneys with many years of experience in closing business transactions. As consumers of title insurance services, we have an appreciation for the quality of service which should be provided to title insurance customers. LeConte Title is committed to providing a higher level of service utilizing the latest technology and the Internet to assist you in placing orders for title insurance, monitoring the progress of your transaction and quickly completing the closing. We also provide quality service the old fashioned way–by being accessible and giving you personal service. 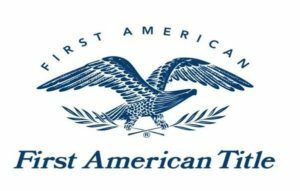 LeConte Title is an authorized agent for Fidelity National Title Group and First American Title Insurance Company.